The fire is out, and the smoke has cleared. The fire department is gone and you are left with a disaster on your hands. One of the first steps to restoring your life and healing your home is to contact a professional mitigation company that can meet the required professional standards off the services you need, while recognizing the importance of extending true compassion and understanding as you cope with your loss. Safety is always the first concern. You want to ensure that no one including yourself enters or walks around in the structure, which could expose them or other occupants to hazards. There may be compromised structural components, falling debris or even electrical-safety issues. Depending on the severity of the loss, you and other occupants may need to consider leaving the building. In addition to the structural hazards, it is also important to consider health issues, especially in exasperating any respiratory ailments or concerns of the people living in the damaged structure. Every fire generates particles of incomplete combustion (PIC’s) that remain in the air and on surfaces after the fire is out. Many of these PIC’s are known as carcinogens. They range in size from 0.1 to 4.0 microns. A micron is 1/1,000,000 of a meter—take the thickness of a dime and slice it 1,000 times! Because of their very small size, PIC’s are easily inhaled. If you decide to leave, secure the property to the highest extent possible. The next step is to get the professional mitigation company involved immediately! The sooner they start the restoration process, the easier it is going to be to assess, evaluate and act on the damage caused by the fire. The faster the response, the greater the chance of saving property and possessions. WITHIN HOURS: Metals tarnish, grout stains, fiberglass yellows and furniture yellows. WITHIN DAYS: Flooring stains, fabrics are lost, and wood furniture finish is compromised. And, the list goes on. 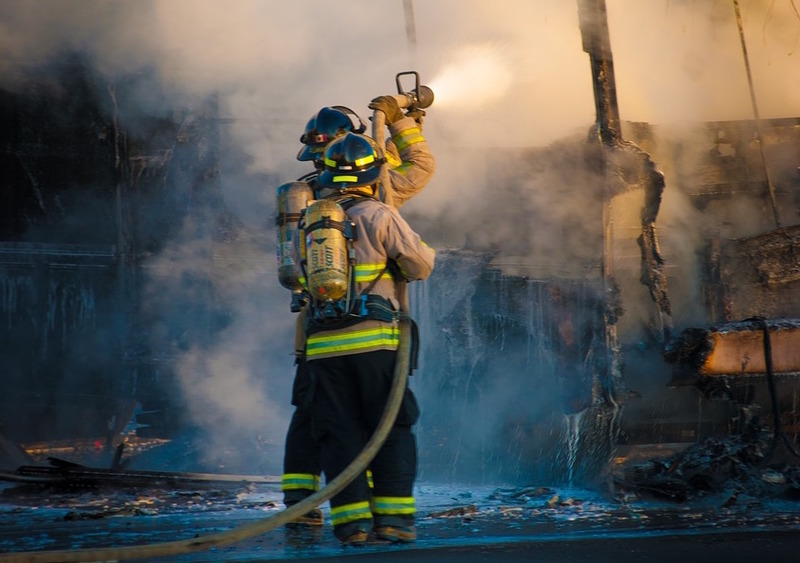 The faster a professional mitigator can begin, the faster you can return to a restored and healthy environment, and the better you can manage the loss to keep fire damage repair costs as low as possible. A professional mitigation company’s personnel knows how to allay the many concerns and fears that you may have after a loss. A prompt, knowledgeable and sympathetic response will go a long way in explaining the process and assuring you of the best possible outcome. The most effective way to ensure maximum service and outcome is to contact a mitigation company you know and trust. Make sure to document any personal items you have lost and try to attach a value to each item. Take a moment and think of all the things you would hate to lose if a fire occurred in your home. A professional mitigator will take the time to communicate with you on the processes that will take place, how your property and personal items will be protected, and work with you on getting your life back together. From the time the first call is received until the mitigation is complete, a professional mitigation company is essential in handling the claim and in managing the cost. This guest blog on what to do after the fire is out was written by PuroClean of Bluffdale. PuroClean is a leading commercial and residential restoration company. We offer fire and water cleanup, restoration services, and mold mitigation and remediation services. We have 24 hour emergency service. To contact PuroClean of Bluffdale call 801-254-6204 day or night.